What’s the secret of transitioning from a competent gardener to a confident one? Pruning! Though this garden task strikes fear into the hearts of many, it is actually a simple and rewarding process. All you need to do to master it yourself is to understand a few basic principles behind the why, when, and how of pruning shrubs. Once you implement these ideas and techniques, you’ll see a healthier, more floriferous garden that same season. So let’s get started! To answer this question, we need to understand what pruning does to a plant physiologically. Plants are genetically programmed for apical dominance. That’s a botanical term that describes the simple phenomenon that plants always want to grow upward. 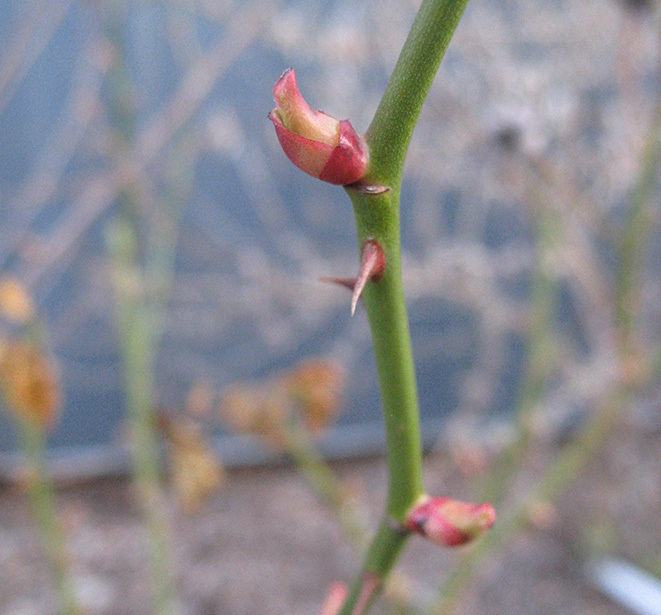 Apical dominance is enforced by the terminal bud – the bud at the end of each stem – which produces a constant supply of hormones that keep the buds below it from growing. When that terminal bud is removed, production of those suppressive hormones ceases, and the lower buds are released. As a result, pruning stimulates a lot of new growth, as multiple buds take over the job that just one single bud was doing previously. More flowers. This is especially true for plants that flower later in the season, like roses and butterfly bush. Instead of just the terminal bud producing flowers, all of the lower buds will flower as well, multiplying the effect substantially. Blooming again later in the season. Reblooming plants like Bloomerang® lilac and Bloom-A-Thon® azaleas flower more their second time based on how much new growth they put on after their first bloom. A light trim after they’ve finished their spring bloom means a better show come summer! Better leaf color. Many plants with variegated or colorful foliage, like 'Summer Skies' butterfly bush or Golden Glitter™ spiraea, display their best color and pattern on young growth. Pruning keeps their foliage vivid and showy. Brighter stem color. Plants with attractive stems, like Arctic Fire™ and Arctic Sun™ dogwood, are the most colorful on stems younger than 3 years old. Pruning encourages the fresh new growth that makes these plants so popular in our gardens. To neaten the plant’s appearance. Some plants, like ‘Limelight’ hydrangea and White Dome® hydrangea keep last year’s flowers on their stems. These can be cut off in spring to keep the new growth and the current season’s flowers looking crisp and clean. To control the plant’s height and/or spread. Sometimes, a plant that is really too large for the space will have been planted and you will want to prune it to stay a manageable size. And some plants, like Sunshine Blue® caryopteris and Black Lace™ elderberry, are capable of becoming rather large plants, but you may want to use them in a flower bed or a smaller landscape that requires some pruning to keep them tight and compact. To rejuvenate an old or overgrown shrub. If you’ve got a very large, very old multi-stemmed shrub on your property, you can give it a new lease on life by cutting it back to short stubs in spring. To remove dead, diseased, or damaged wood. 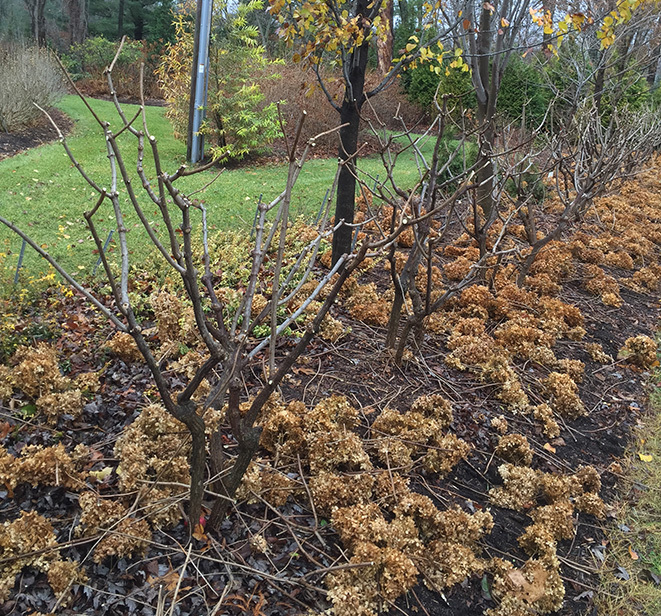 Sometimes branches of shrubs die from weather, from old age, or are damaged by injury or animals like deer browsing them. Pruning is the best way to correct the damage. If you are happy with a shrub’s size, looks, and performance, there’s no need to prune it. If it is a dwarf variety, like Lo & Behold® butterfly bushes or Show Off™ Sugar Baby forsythia, it will require little to no regular pruning. You should never prune without a reason. Every other decision you’ll make, like when to prune and how much to prune, will come back to the reason you’ve decided to prune in the first place. If you don’t start with a good reason, you won’t be able to determine what to do next! Have you made a decision on whether or not your plant needs pruning? Great! Let’s talk about when to do it. Don’t suffer from spring fever – cure it with Shrub Madness! Shrub Madness is like the college basketball tournament that happens every March, but the contestants are 64 fabulous flowering shrubs. Your votes help your favorite varieties pass through to the next round, where they will go up against a new competitor. This elimination-style tournament ends when the last two plants standing vie for a chance to be crowned Shrub Madness National Champion. Shrub Madness starts on February 15, when you can fill out a bracket with your prediction on how Shrub Madness 2016 will play out (and get a chance to win the Grand Prize!). Voting begins March 1 and ends March 31. For all the details and to register to win one of dozens of prize packages, visit ShrubMadness.com.